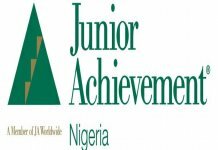 The Junior Achievement Nigeria (JAN), an economic empowerment non-governmental organisation, has called on the federal government to adopt its model to support the education system in the country. The Executive Director of JAN, Mrs. Ehizefua Edeh, made the call at the graduation ceremony of the week-long educational and empowerment camp for 50 girls drawn from private and public schools across the country tagged ‘Leadership, Empowerment, Achievement and Development’ (LEAD Camp). 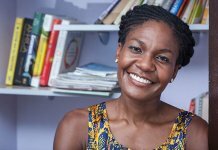 According to her, JAN has been empowering youths from five to 27 years through its three pillars for success – financial literacy, work readiness and entrepreneurship- since 1999. She said the organisation has a successful track record among youths in the country and encouraged the government to adopt the JAN model, adding that the federal and state governments should expand their curricular to accommodate JAN as a supplementary education model. 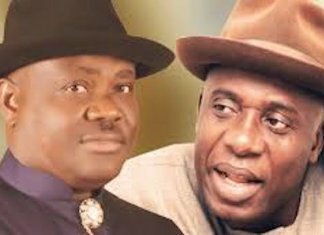 Edeh also urged governments and private individuals to allow JAN to establish its skills acquisition centres in all schools in their domain to enable it implement the work readiness, financial literacy and empowerment in all schools across the country. She said the organisation has been in existence since 1999 and has reached over 650,000 students in over 750 schools in 29 locations across the country with the support of 1,000 volunteers, adding that as a part of 121 county global network, JAN is able to leverage and deliver unique experiential programmes. The executive director disclosed that the LEAD Camp, which was sponsored by Union Bank, will not end with the graduation of the 2016 set, but that they have been inducted into an alumni with participants of previous LEAD Camps. She said there is also a JAN Club through which the students are mentored and given empowerment tools that would enhance their aspirations, adding that every initiative that the girls have come up with during the LEAD Camp will be followed up through mentoring. She added that many women whose careers cut across the financial services, media, business, economic empowerment both in the public and private sector took the girls through activities in leadership, empowerment, achievement and development. The Head, Corporate Affairs and Corporate Communications, Union Bank Nigeria, Mrs. Ogochukwu Ezekie-Ekaidem, said the sponsorship of the LEAD Camp was the result of the launch of an internal women’s network by the bank called Women Empowerment Hub (WEHUB) to provide financial training and empowerment for all the women in the bank’s branch network across the country. She explained that it was possible for the bank to support the initiative because women in its branch network were already involved in women and young girls’ financial literacy and empowerment project in their various communities. Ezekie-Ekaidem added that the bank got involved because it felt there was a connection between its WEHUB and the LEAD Camp objectives, which both prepare young girls for the future; she promised that the bank will stay connected to the girls by mentoring them. She said all the WEHUB women in the various communities where the bank is located would connect with the girls to assist them with the various initiatives they are expected to execute in their various communities. A participant, Marrietta Mba from FloraHome International Schools, Jikwoji, Abuja while sharing her experience at the LEAD Camp, said she was inspired to be more creative and unafraid of what she thought were male dominated fields. She promised to take all she learnt at the camp to her community.